The Baltimore Eagle has been reinvented as a sports bar, dance hall, and entertainment complex with a leather heart. The diverse environment within the bar, with its newly renovated sports bar, is the perfect home base for the Flamingos. The Baltimore Eagle quickly signed up to support the Flamingos during our formation and their logo is proudly worn on the chest plates of our rugby kits. Located just north of Mount Vernon in Old Goucher, the Baltimore Eagle is committed to being an inclusive and welcoming place for all of Baltimore. Nestled in historic Mount Vernon neighborhood, Grand Central is a staple of the LGBTQ Community. Grand Central features three unique bars in one complex. Enjoy the old-style pub bar atmosphere with an upper lounge for a relaxing evening, or head on upstairs to the loft and shoot some pool. If you are looking for that club vibe, head on into the disco and dance the night away. Grand Central provides a much needed space during our season to ensure we have a social place to thrive. 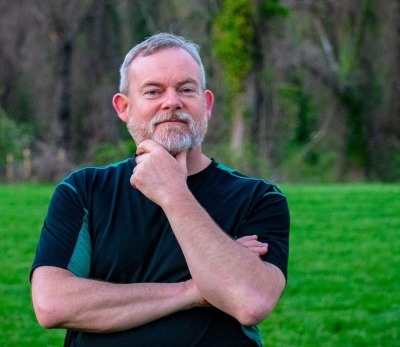 ​Charles Dudley has nearly 2 decades of experience as a physical therapist with experience in diverse settings such as hospital, rehabilitation, out patient, sports medicine and even had a private practice in London England. He attended TAI SOPHIA, which later became Maryland University of Integrative Health, for health and wellness coaching. It was here that Charles learned a better way to have a conversation with patients and clients, resulting in deeper insight into root causes of peoples problems and facilitating the changes necessary for optimal healing. Charles has been studying and honing his manual therapy skills in recent years plus more recently has been focusing his education in men’s pelvic health.